International Ski Federation (FIS) President Gian-Franco Kasper praised the "rich tradition" of Lahti as this year's Nordic Ski World Championships in the Finnish city opened today. The Opening Ceremony officially got the event, where 21 gold medals across the cross-country, ski jumping and Nordic combined disciplines will be on offer, underway this evening. It came after Kasper, also a member of the International Olympic Committee, FIS secretary general Sarah Lewis and Organising Committee head Janne Leskinen held an opening press conference. 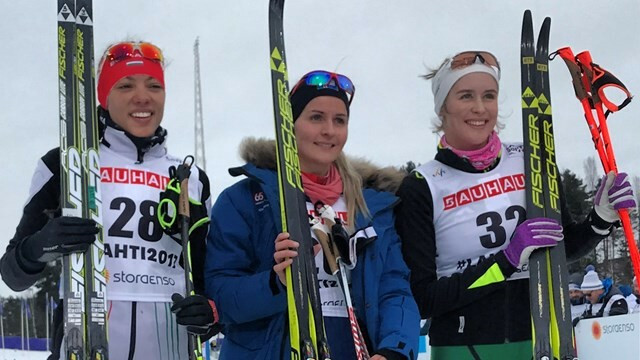 "Lahti has such a rich Nordic tradition, this is their seventh time hosting the Nordic World Ski Championships, which speaks for the passion of the region and country for Nordic skiing, as well as the strength of the Organisers, who have worked tirelessly to make these Championships the best-ever staged in Lahti," said Kasper. All medal events at this year's Nordic Ski World Championships will be held at the Salpausselka Stadium, which features completely renovated ski jumps and new cross-country tracks that will be at the disposal of the public after the conclusion of the event on March 5. Organisers have announced 160,000 tickets have been sold for the 12 days of competition and have had to add another 3,000 seats to accomodate demand. A total of 61 nations have entered the event, with Norway's 41 athletes representing the largest contigent. 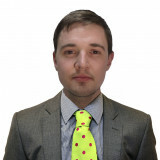 The Pacific island of Tonga have sent the smallest delegation, with just one skier set to compete. The FIS have revealed 683 competitors are expected to participate, with 464 in cross-country, 146 in ski jumping and 71 in Nordic combined. 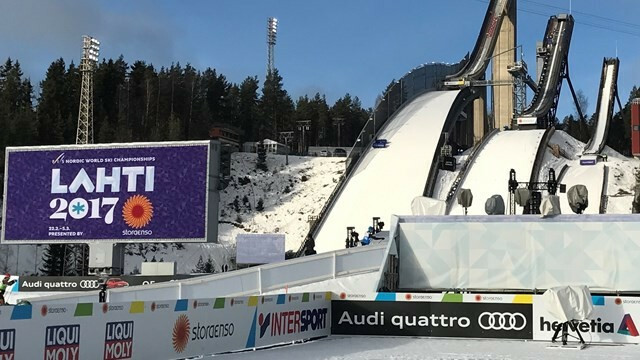 Before the Opening Ceremony, qualification races in the men's and women's classic interval events were held, although men's ski jumping training had to be postponed due to strong winds. Iceland's Elsa-Gudrun Jonsdottir won the women's five kilometres event in 15min 23.9sec to book her place in the main distance races. Nansi Okoro of Bulgaria was second and Australian Katerina Paul came through to take third. Kresimir Crnkovic of Croatia triumphed in the men's qualification race, held over 10km, in a time of 26:21.5. He crossed the line in front of Lithuania's Deividas Klisevicius and Achbadrakh Batmunkh of Mongolia. The first medals in Lahti will be won tomorrow in the men's and women's sprints.